Spiegelau Authentis Decanter 35 1/3 Oz (P/N 724 02 57). 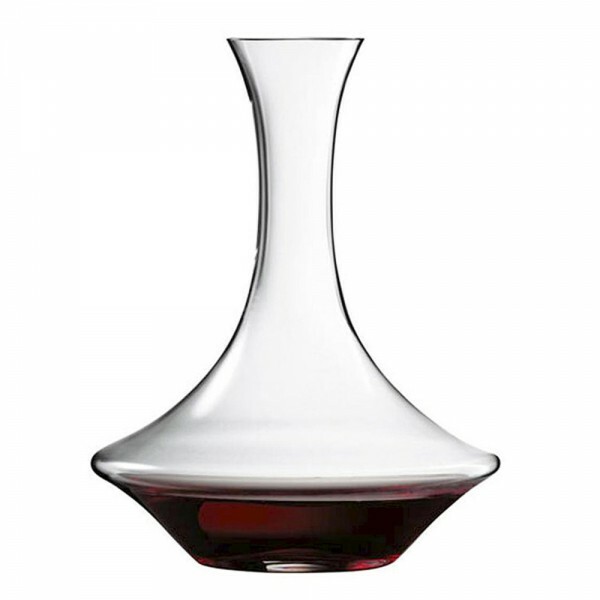 Hand-crafted of sparkling crystal, the Authentis Decanter has graceful neck that opens into a wide base to provide maximum surface area to aerate both young and mature vintages. The easy-grip punt allows any sediment to collect in the "ring" around the outside edge of the decanter. The result is an enhanced bouquet and taste to any wine you serve.